Own your classic American dream home, brick ranch with a 2 car side load garage in the highly desired Carolando neighborhood. Screened in sunroom is great for relaxing or entertaining and overlooks a fire pit and a private 1&1/4 acre. Wonderful neighborhood in a perfect location with no hoa. 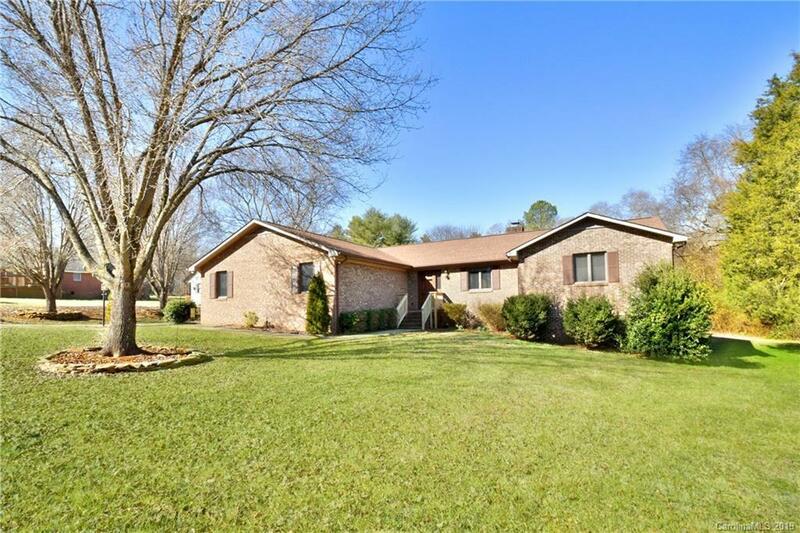 Just miles from Concord Mills, several golf country clubs, 485 & 85, and so much more, but still feels remote and private tucked away in the neighborhood. Large master with walk in closet and bath with separate sinks. Generous kitchen with plenty of cabinets & counter space, plus an island and a breakfast room that overlooks the backyard. Family room has lots of space, high ceilings and a wood burning fireplace. Solid wood doors & trim, and fresh paint & carpet throughout! New carpet also installed in the sunroom since pictures.This home has an ideal floor plan and the lot is beautiful. It's a fantastic value for a this caliber of home in this location on over an acre of land!